Pro Rehab Chiropractic and Rehabilitation Providers Brad Swasy, D.C.
Dr. Brad Swasy is a native of western Pennsylvania and graduate of Indiana University of Pennsylvania with a major in Biology. He experienced the benefits of chiropractic first-hand from a young age when he went with his parents, as well as getting treatment for various sports injuries. Dr. Swasy then moved to Port Orange, Florida to pursue his Doctor of Chiropractic degree from Palmer College of Chiropractic. Upon graduation, he returned to his second home of Pike Creek, Delaware to serve the growing needs of the community. Dr. Swasy is a Board Certified Chiropractor through the National Board of Chiropractic Examiners and has received training in various techniques and modalities to treat a wide range of symptoms with the best patient outcome in mind. 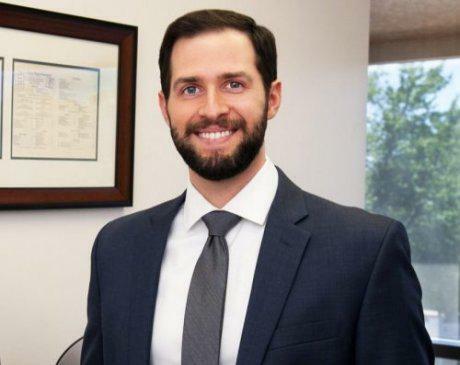 He specializes in treating personal injury and Worker’s compensation cases, in addition to neck pain, back pain, headaches, and other common musculoskeletal complaints.